The Phnom Penh Post reported today that Medusa Mining, an Australian company, plans to invest $3 million over four years in explorations for gold, copper, oil, gas and precious stones in tributaries of the Mekong River in Cambodia. 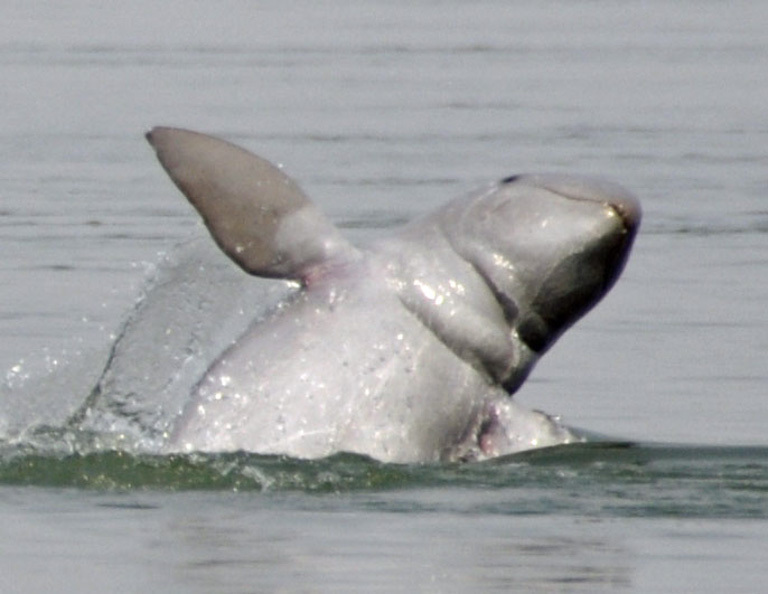 Irrawaddy river dolphins, an endangered species of cetacean, live in the Mekong adjacent to the areas slated for exploration. Only about 80 dolphins remain in the Mekong River, and, although their numbers are on the rise, they face threats from gillnets, dams, boat traffic and water pollution, which could be exacerbated by mining activity. 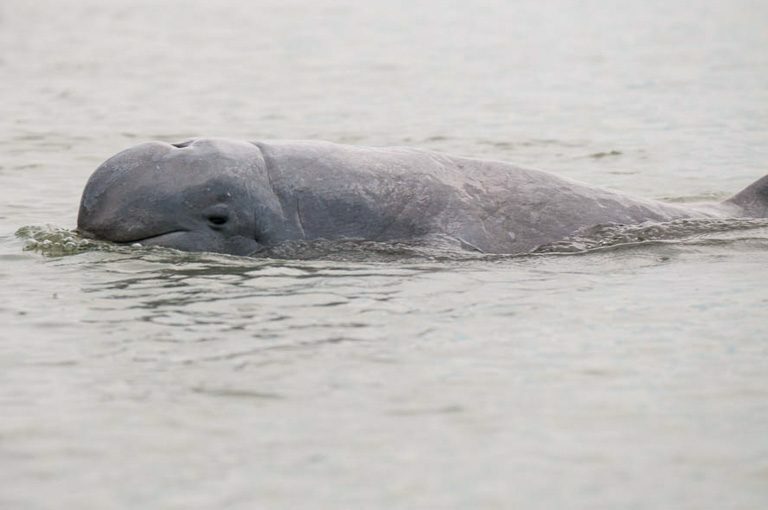 An Australian mining company aims to begin searching for minerals, as well as oil and gas, next to part of the Mekong River in Cambodia where the endangered Irrawaddy river dolphin (Orcaella brevirostris) lives. The Phnom Penh Post reported the venture today. An Irrawaddy dolphin in the Mekong River by Dan Koehl (Own work) [CC BY 3.0], via Wikimedia Commons. Medusa Mining is wrapping up terms of a partnership agreement with several Southeast Asian companies to invest $3 million over the next four years to explore for gold, copper, oil, natural gas and “precious stones,” according to a Jan. 10 statement from the company. The plan is for crews to set up in tributaries in the Prek Kampi commune of the province of Kratie, about 35 kilometers (22 miles) from the Mekong, the Phnom Penh Post reported. These “small little streams” are “nowhere near the river,” Medusa’s managing director, Boyd Timler, told the Post. “We are aware of dolphins in that area of the river,” Timler added. A dolphin in Cambodia. Photo by Stefan Brending via Wikimedia Commons. Only about 80 Irrawaddy river dolphins survive in the 4,350-kilometer (2,700-mile) Mekong River, according to WWF-Cambodia, but that’s still the largest subpopulation of the species. 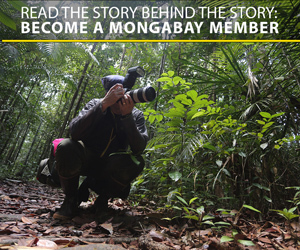 Four other discrete groups live in river systems throughout South and Southeast Asia. Recent surveys by WWF have shown that Irrawaddy dolphin numbers in the Mekong have increased since 2010, and deaths are down in the past several years. However, gillnets for fishing, dams and boat traffic all pose threats, as does water pollution, which could increase with mining activity. WWF communications manager Un Chakrey told the Phnom Penh Post that the organization did not know if Medusa would be operating in protected areas. He also said he believed that the company had just begun an environmental impact study. Banner image of an Irrawaddy river dolphin in Sundarban National Park by Dibyendu Ash, CC BY-SA 3.0, via Wikimedia Commons.